Accepting guest posts on your blog can be beneficial for both you and your audience. Your readers get exposed to a new voice and you get new content for your blog without having to spend hours brainstorming, drafting, and writing. You can also invite bloggers to write about specific topics outside your knowledge and experience that your readers would enjoy. If you want to accept guest posts on your blog, you should have a plan in place. Outlining your expectations will help you and your potential collaborators to be on the same page regarding your specific guidelines. It also shows that you maintain a level of standard on your blog. Once you have a sense of how you want to accept guest posts, create a page on your blog called something like Guest Post or Accepting Guest Posts that invites bloggers to submit ideas to you. Provide the information people need to pitch a guest post to you and link to it in your menu or footer. You could even make a pin for it and circulate it on Pinterest. Want to jumpstart your collabs? Instead of waiting for someone to stumble upon your pitch page, join the network of bloggers who are looking for blogger collaborations! Sign up to request an invite here. 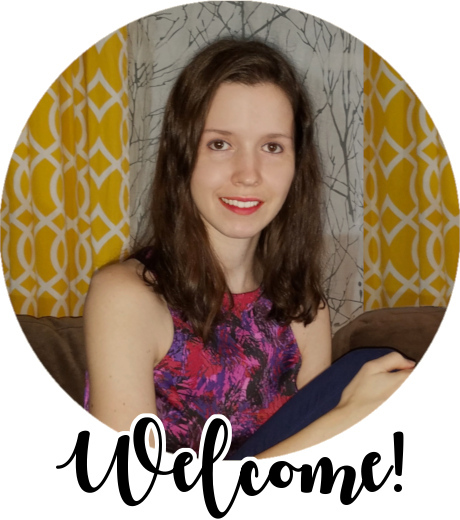 Ready to start setting guidelines to accept guest posts? Here are 13 things to determine to help your guest post collaborations go more smoothly and successfully. You want to attract the best candidates you can, so explain why prospective contributors should write for you. Showcase your best site stats, like monthly pageviews or unique visitors. If you share guest posts on social media or in your newsletter, list your follower count and email size. If you have a smaller blog and don’t think your numbers are stellar, focus on detailing your audience and outlining your engagement or conversion rates. Show how great your readers are by describing their general demographic and interests. I often see blurbs like: My audience is educated women in their twenties and thirties who are looking for healthy recipes to make on the fly. Also, if you’ve already published guest posts on your blog, you can link to them to show examples of successful submissions. You also want to attract the right pitches, so specify what kind of content you’re looking for. What’s the range of topics you’d consider? Are you open to topics outside of your niche? Can the proposed post be similar to something you’ve already written about, or should it be something you haven’t touched on? It’s pretty standard to require that the content be unique and not published anywhere else, but it always bears repeating. Think about your goal in accepting guest posts to help shape your criteria. Do you want more content around topics that have done well on your blog? Do you want to supplement your blog with content that you aren’t the best person to write about? How should a blogger approach you about writing a guest post? Direct them to your contact page or your email address, and specify if you want them to use a particular subject line. Is there anything in particular they should include in their pitch? Think about what you would need to decide if they’d be a good fit for your blog. How long should the post be? Do they need to stick to a set minimum or maximum number of words? If you aren’t sure about this, look at the lengths of your most popular posts and set a range similar to them. It should be flexible, like 500-1200 or 800-2000 words. 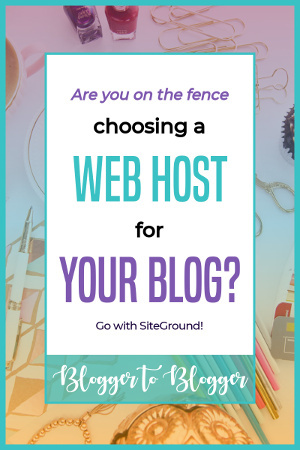 Will you allow the guest to add relevant links to their blog within the post? How many? If not, state that they will get a backlink in their bio, along with their social media links. If your readers enjoy the guest post, you want them to be able to easily find out more about the writer, so it servers your readers (and therefore yourself) to include guests’ social media links. Do you want to allow spiders to follow backlinks to your guest’s blog? Typically blogs allow follow links if the contributor is writing for free, and "nofollow" if the writer is being paid. One reason people use "nofollow" is that they want the spiders to keep crawling their own blogs instead of leaving to follow an external link. Massive websites can get away with using "nofollow" on guest posts because the human exposure and ensuing traffic is incentive enough for writers to contribute. Per Google’s guidelines, affiliate links should always be "nofollow". These were some of the things to include on your Guest Post solicitation page to help potential guests pitch to you. The next guidelines we’ll cover is information you’d share with bloggers whose guest posts you’re proceeding with. It can go in an email draft, a text document you’ll attach, or you can upload it to an online file storage like Dropbox or Google Drive. Usually you wouldn’t allow affiliate links in a guest post, but if the guest has her own product she’s promoting, your affiliate link to the product should be used. She’ll make money from any sales and you’ll get a commission for introducing her product to your audience. If there are any affiliate links in your post, make sure you disclose them! How do you want the guest to format the post? Does your blog have a particular style that you would like your guests to follow? If you can’t pinpoint your preferred blog post format right now, don’t worry. It might take receiving a few submissions to realize your preferences. Is it important to you that the guest posts are optimized for search engines? If you’d rather not leave it up to a guest blogger, let her know of any keyword phrases you would like her to use. After a guest submits a post to you, write a few paragraphs to introduce her and the topic. This way you can incorporate any keywords you want to target, independent of her SEO strategy. Does the guest have photos she took that could be used in the post? If she’s writing on a personal topic (like her weight loss story or travel tips from her vacation), using her own photos would add a lot of value. If stock photos will be used, you should choose them yourself so that you know the image source and can confirm you’re allowed to use them. Plus, you can make sure that they match the quality and feel of your blog. If your guest provides any images, make sure that you have permission from the original source to use them! For instance, if she has a stock photo membership, she can use them on her blog, but you don’t have permission to use them on yours. Who will make the images to share the post on social media? If you have a particular style or theme for you social media graphics, you should create them yourself. If the guest makes really great graphics, you could ask her to provide them. Facebook and Twitter pull images from the post itself, so you have to specify those images in your meta tags. Pinterest, on the other hand, lets people upload any image and point it to any URL. Which means you can create your own pins and add them to the post, and the guest blogger can create her own, as well, to upload straight to Pinterest. This way the post has pins in your style to share, and the guest blogger can share pins to it in her style. If you can’t guarantee you’ll publish the post exactly as it’s submitted to you, be clear that you reserve the right to lightly edit or modify it. You’ll want to fix spelling or grammar mistakes, and be able to modify text for clarity and brevity. Both parties should want the guest post to do well, so how will each person promote it? Email lists? Social media? Looping the pins on Tailwind? Posting a link in a Facebook group “share” thread? And how will the guest writer link to it from her blog? So many questions! So many possibilities! Know what the plan is to ensure that you’re both promoting it at least as well as your other content. Whew, that’s a lot to consider! Which is exactly why it’s a good idea to have most of this figured out before you start accepting guest posts on your blog. If you’re ready to publish guest posts, setting some guidelines will get you started in the right direction. And when someone asks if you accept guest posts, you’ll have your instructions ready for them! 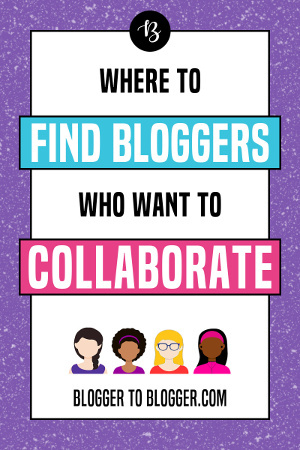 I really hope this has you excited about blogger outreach 🙂 If you haven’t already, be sure to sign up to collaborate with other bloggers!